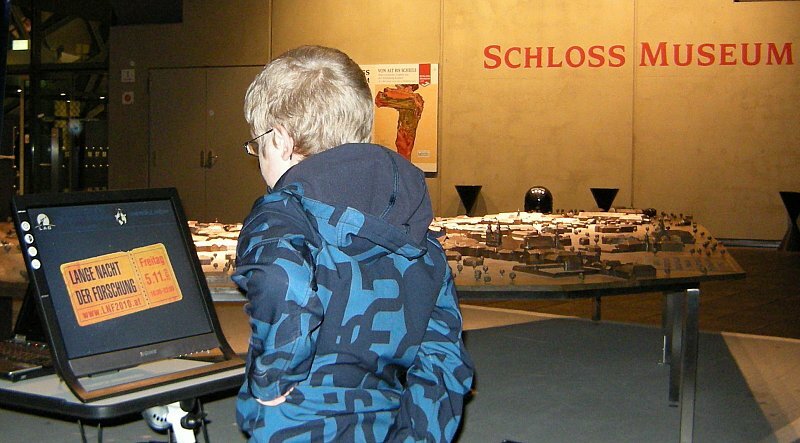 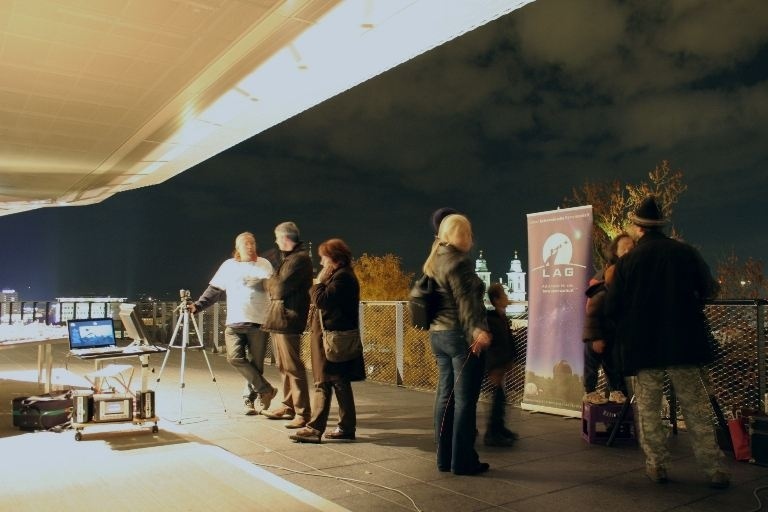 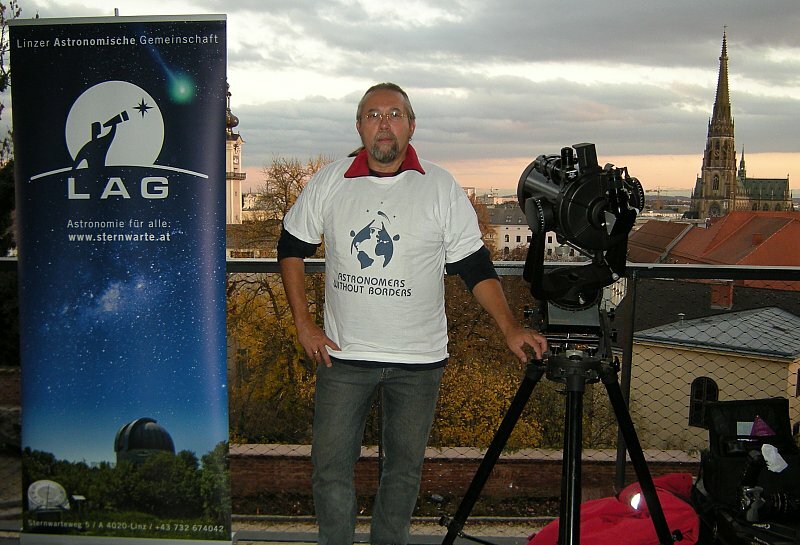 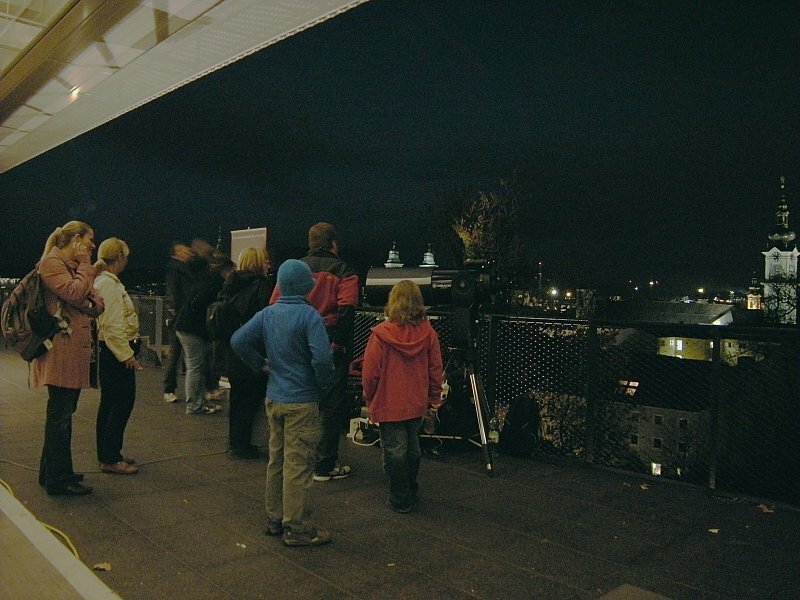 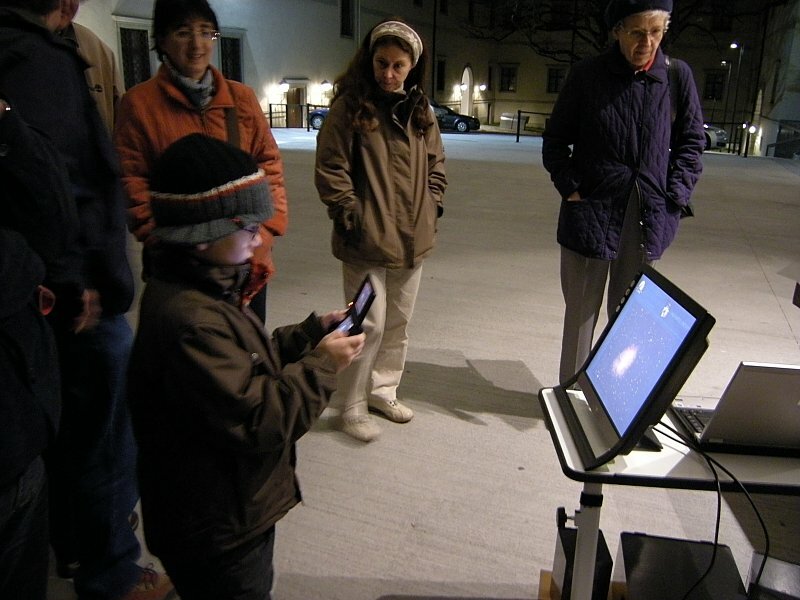 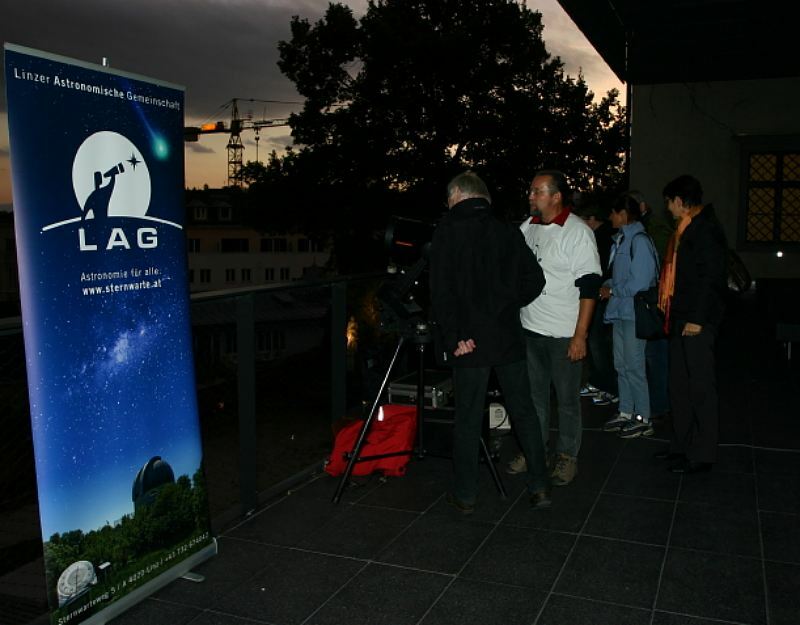 Beeing an AWB-affiliate representing the Linzer Astronomical Society - LAG / AUSTRIA I am happy to report the following little event at my hometown Linz in Upperaustria. 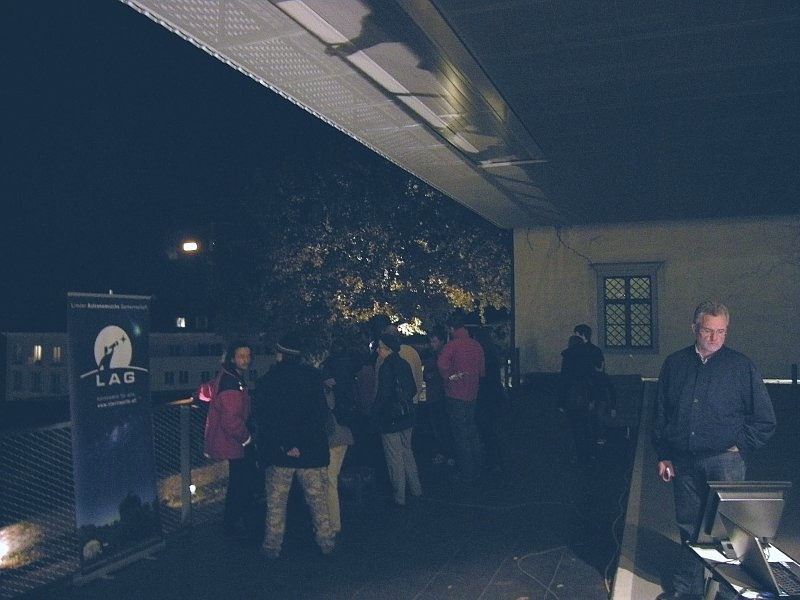 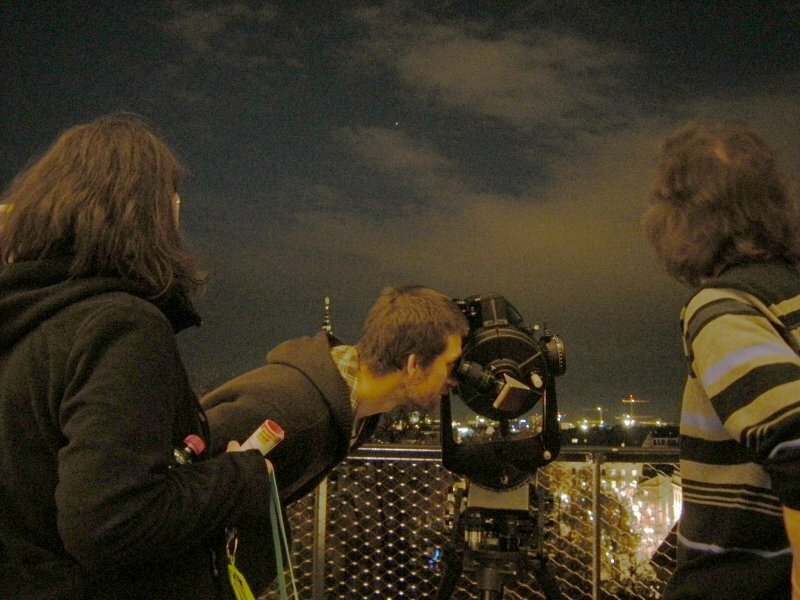 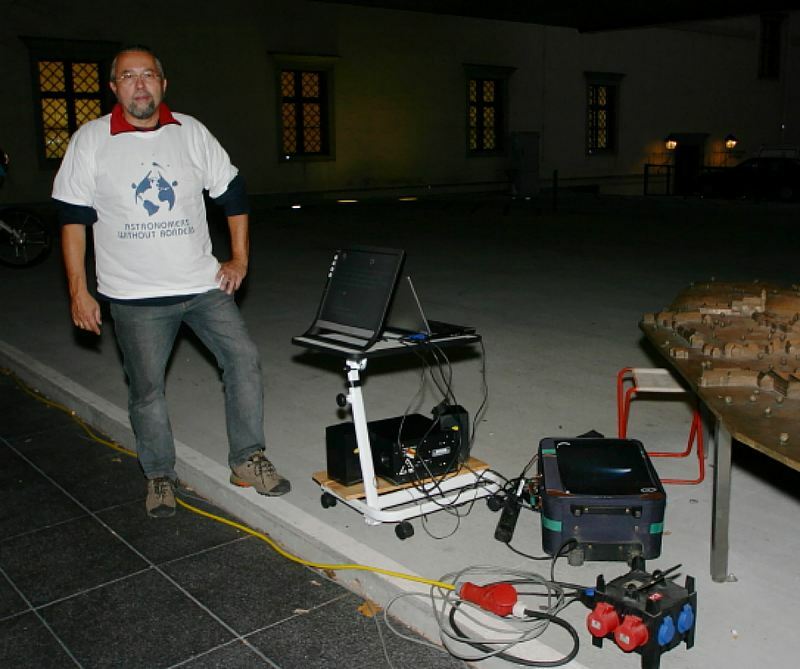 Together with 2 friends of LAG (Astronomical Society of Linz) I introduced to many people LAG, AWB, TWAN, Lightpollution and so on .... during the "Long Night of Exploration" in my hometown. 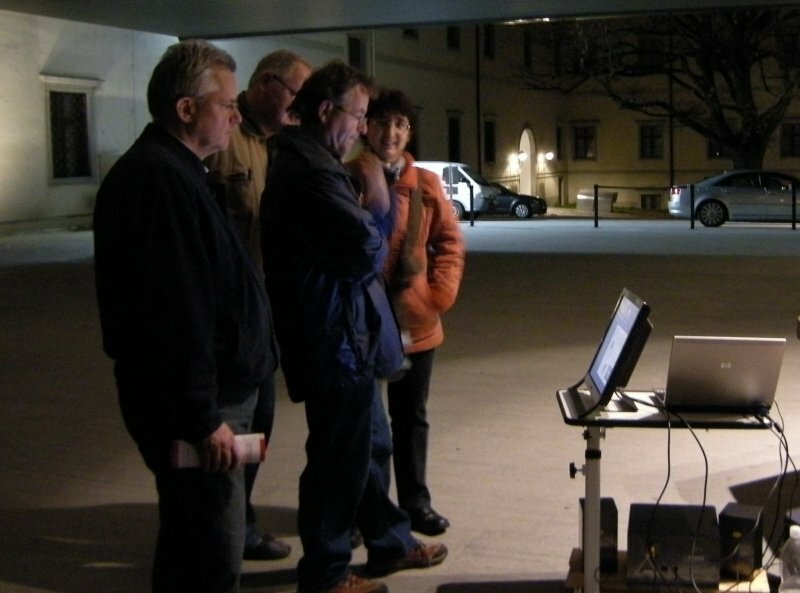 For this purpose I made a fully automated Powerpointpresentation combined with music. 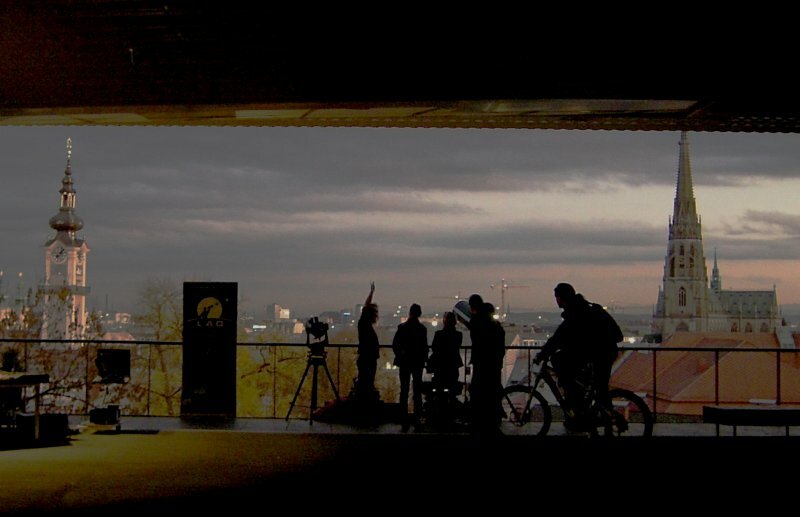 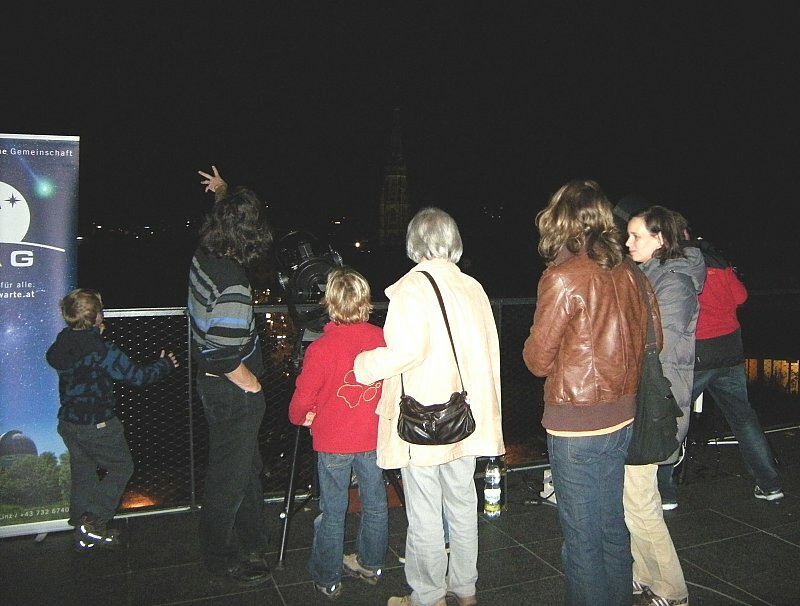 The whole night people, who visited the museum, could make a look to our presentation and some looks between the clouds to some celestial objects. 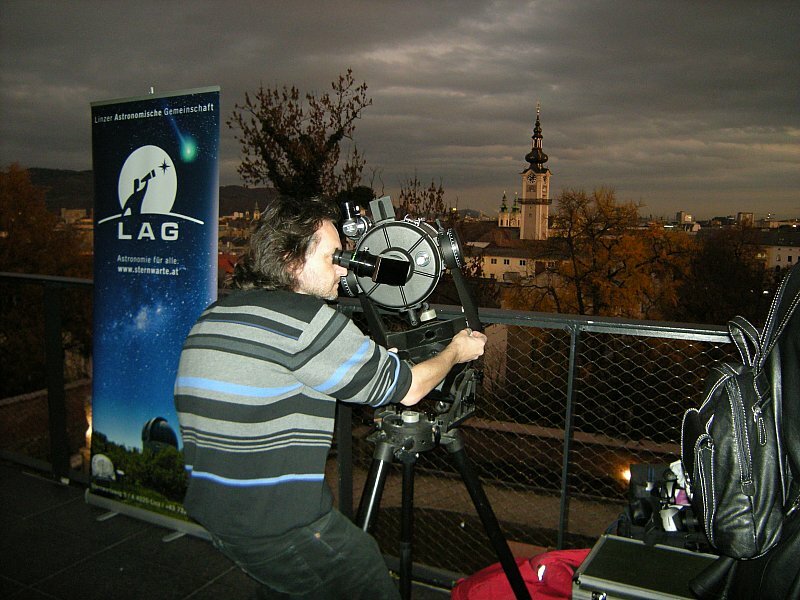 As usual the weather was not very "cooperatively" ;-) but we did the best in respect of this circumstances. 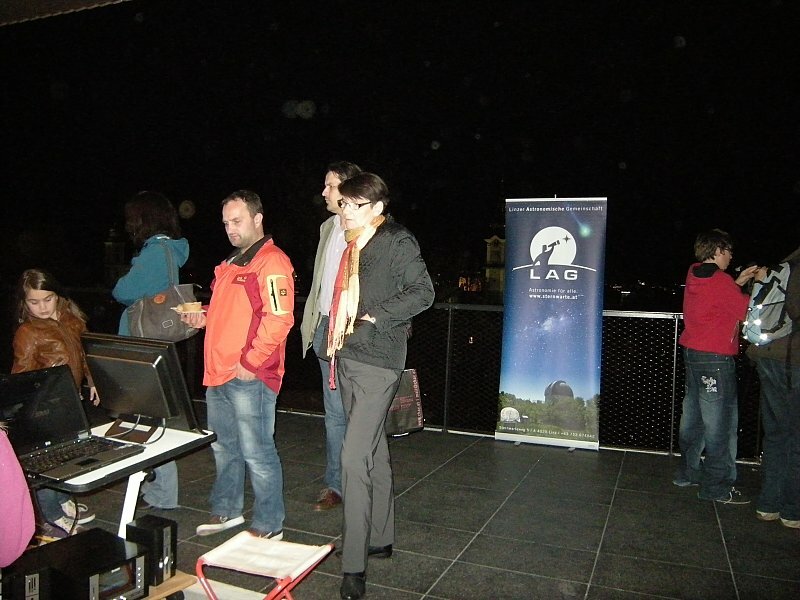 Shortly after we set up our information desk.